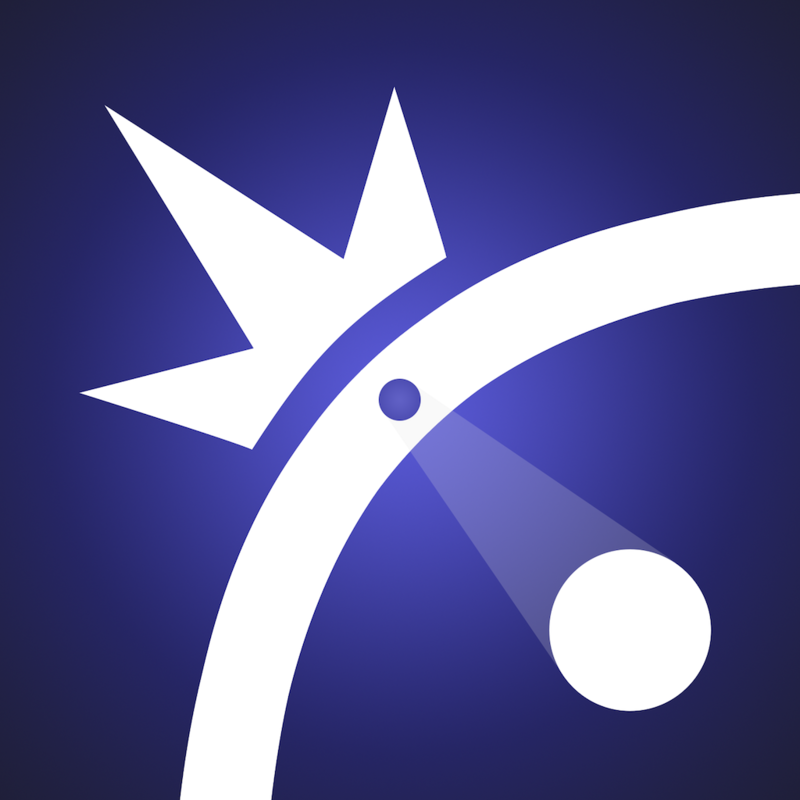 ORBB ($2.99) by MochiBits, Inc. is a zen-like puzzle experience that you’ll love to kick back with. 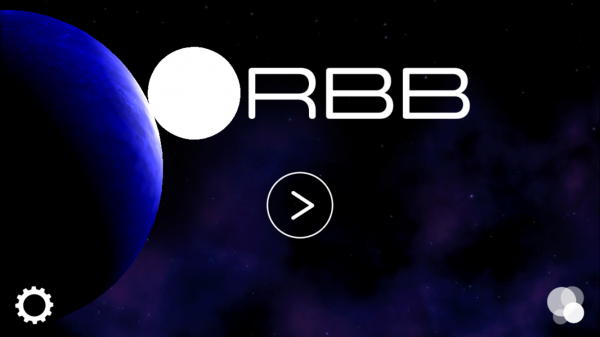 If you enjoyed games like Astronut, Space Chicks, and Beyond Gravity, but yearned for something more relaxing that you can play at your own pace, then ORBB is worth checking out. 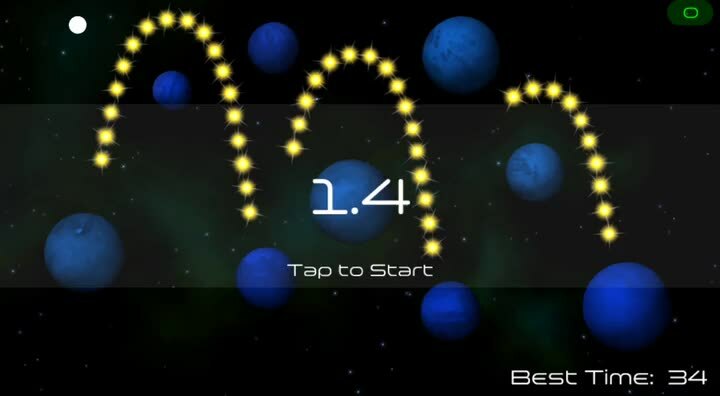 While I love those games that I mentioned, there was one thing that they all had in common: they became stressful the longer you played due to difficulty and you always had the penalty of death if you fail. I enjoy them, but having to worry about dying is not that much fun, right? 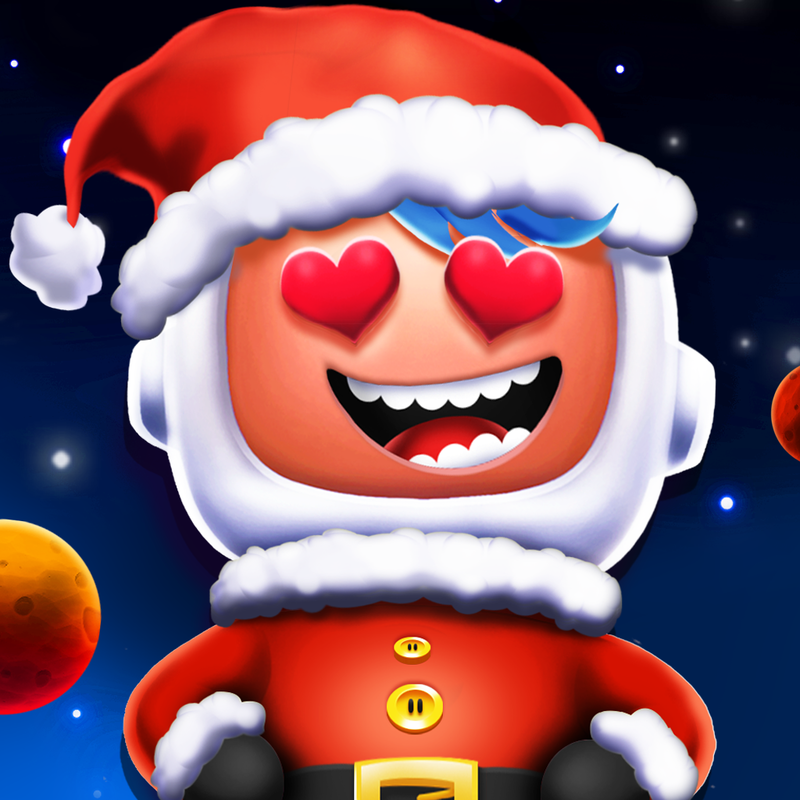 That’s why when I saw ORBB in the App Store, I was intrigued due to the lax nature of the game — it’s a nice change in pace from your typical planet-hopping fare. 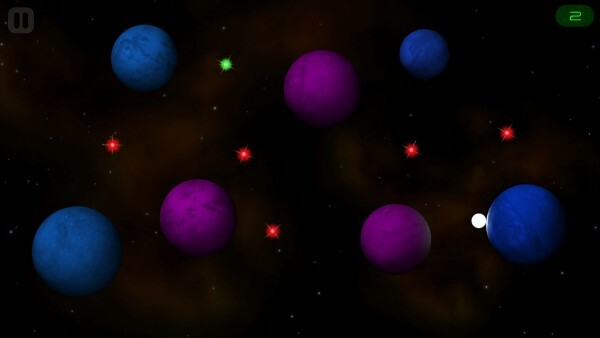 The visuals in ORBB seem fairly basic, but still pleasant to look at. 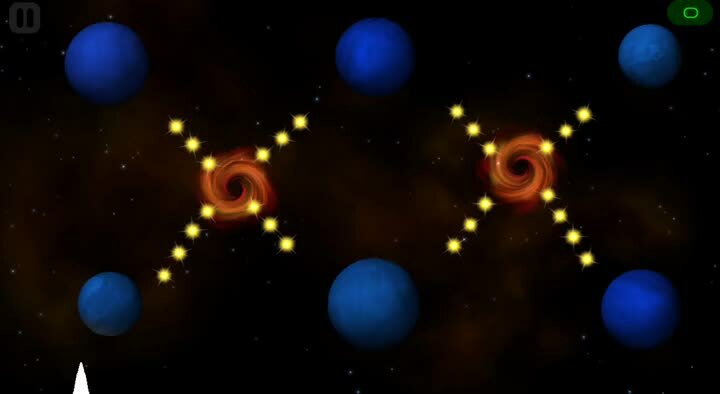 It’s just as you’d expect from a game that involves hopping from planet-to-planet: pitch-black darkness in the background due to space, celestial bodies of varying sizes and colors that rotate, and bright stars of different colors that light up the night sky. Again, pretty fundamental things, but still beautiful enough for an ethereal experience. 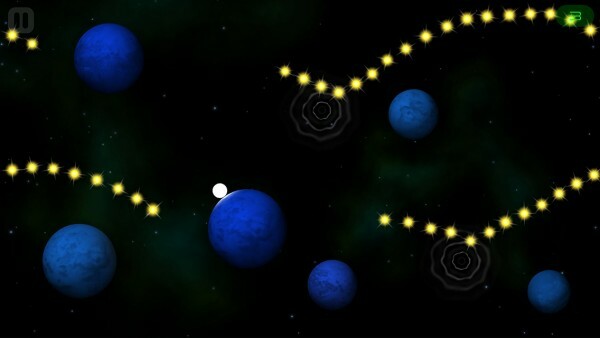 The atmospheric soundtrack, composed by Whitaker Trebella of Pivvot and Polymer fame, is soothing and delightful, so I recommend a good pair of headphones while playing ORBB. 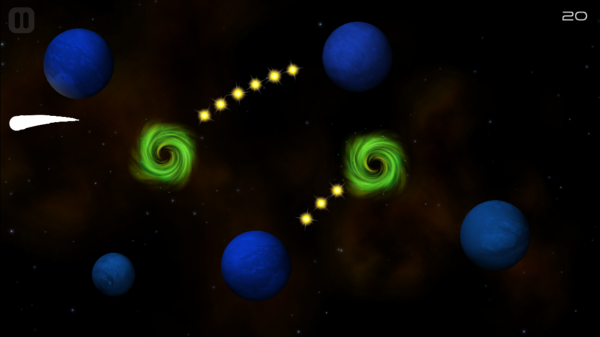 There are five “phases” in the game, which are just chapters. 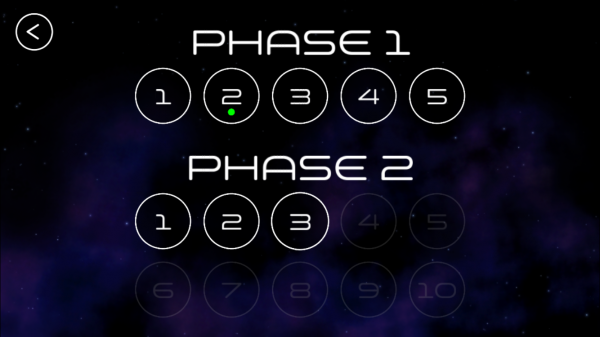 A total of 60 levels are spread throughout these phases, with the first having five stages and the second having 10, then 15 in the other three. 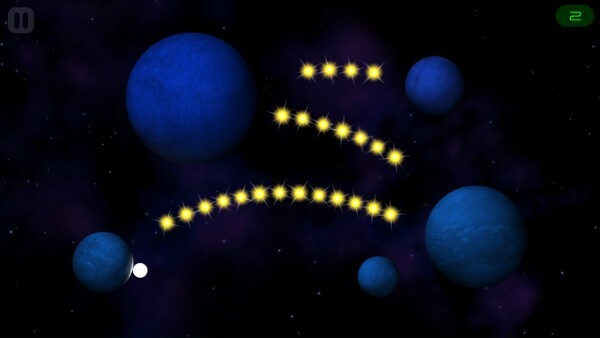 The goal for each stage is to have your character collect all of the stars that are scattered around. 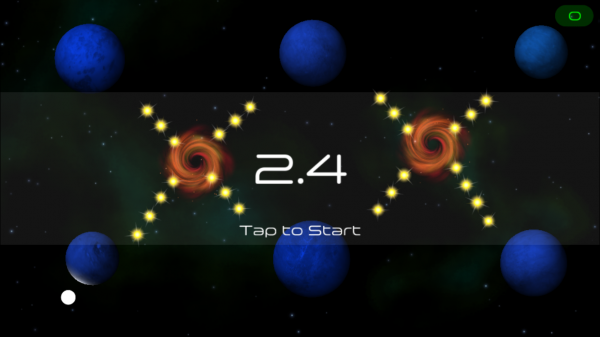 As I mentioned, this is a game that can be played at your own pace, since there are no time limits or deaths. 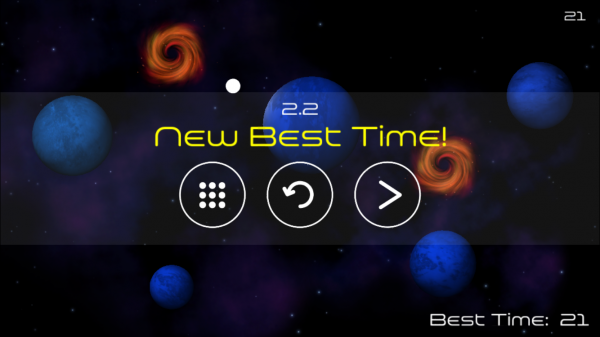 You can take as long as you want, and just try to improve your own best time during a replay. 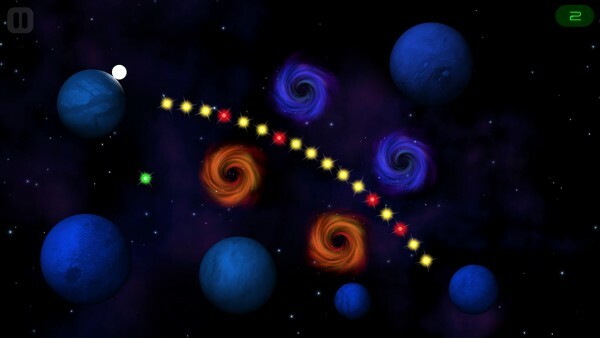 However, if you are a competitive type, there is the option of beating a level in a certain amount of time to get a bonus achievement. When the elapsed time in the corner is green, you can still get the bonus — when it’s white, it means that bonus period has passed. 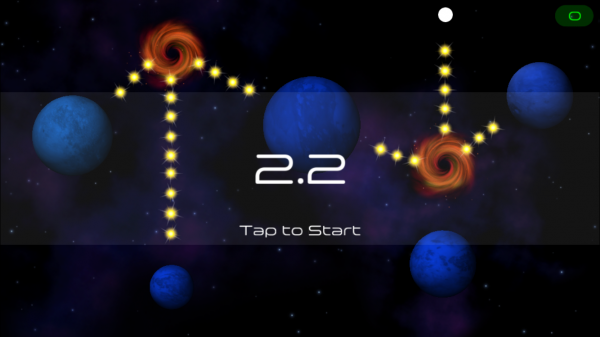 The controls in ORBB are super simple — just tap anywhere on the screen to have your white dot jump from a planet. 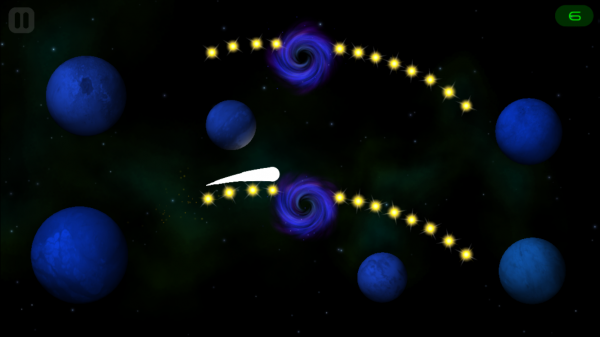 There is no gravitational pull, so you should precisely aim your trajectory if you want to finish in the shortest amount of time possible. And since you can’t die, your character just wraps around the screen when falling until you reach a planet surface. 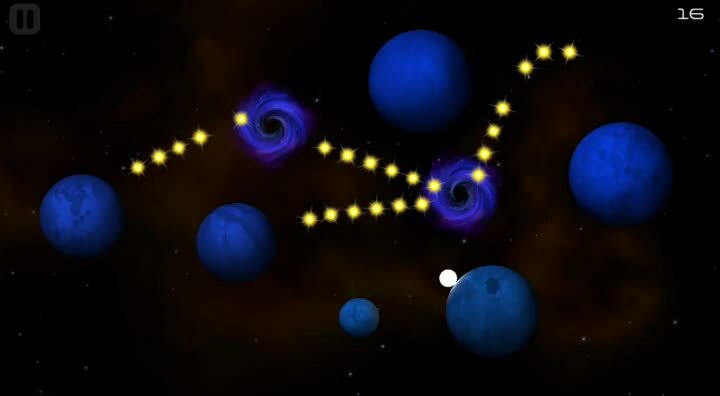 To make things more challenging as you progress, there will be various objects that can help you get the stars faster, such as wormholes or even anti-gravity. These are introduced at a gradual pace, and the game will show you how they work as you go, so you’re never just thrown out there without guidance. Even though there are bonus time challenges, these don’t count in Game Center since there are no leaderboards. But if you like to hoard achievement points, there are nine to obtain. Personally, I hope that leaderboards are added in the future so that the time challenges actually count. 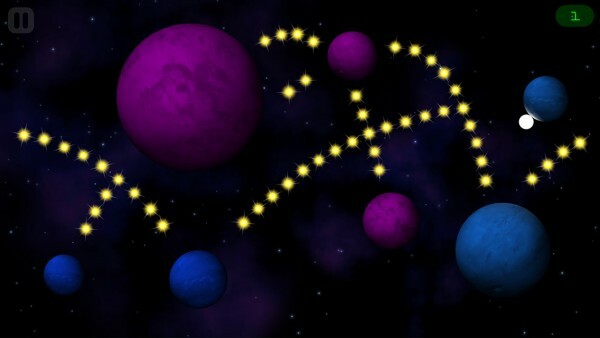 I enjoy physics-based planet-hopping games, so ORBB is a keeper on my iPhone. The visuals are uncomplicated but fun, the music is captivating, controls are effortless, and the stress-free gameplay is a nice break for many. 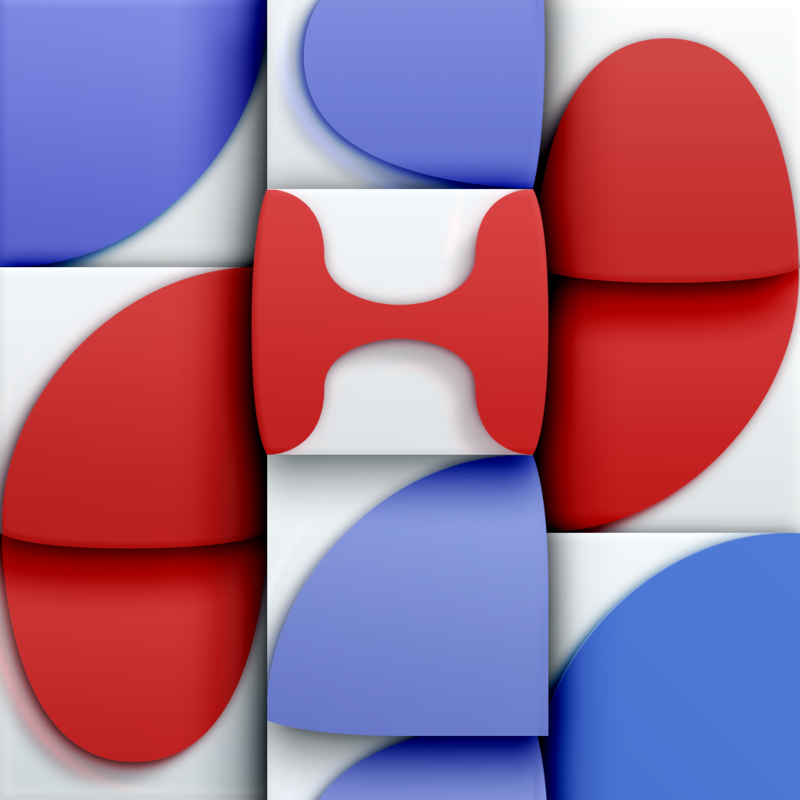 I just want to see more substance for the time challenges, because that would be great for Game Center leaderboards. 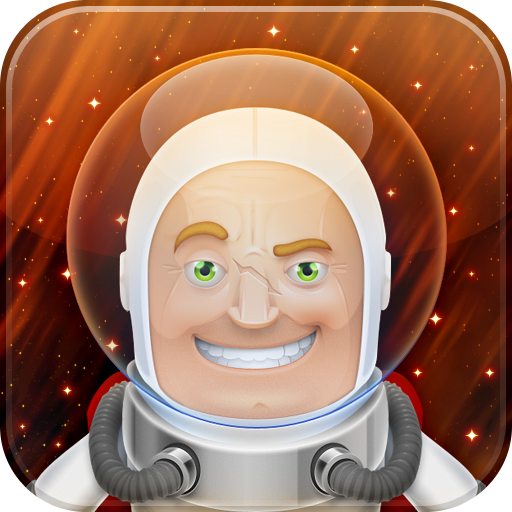 I recommend checking out ORBB if you need to unwind this weekend. 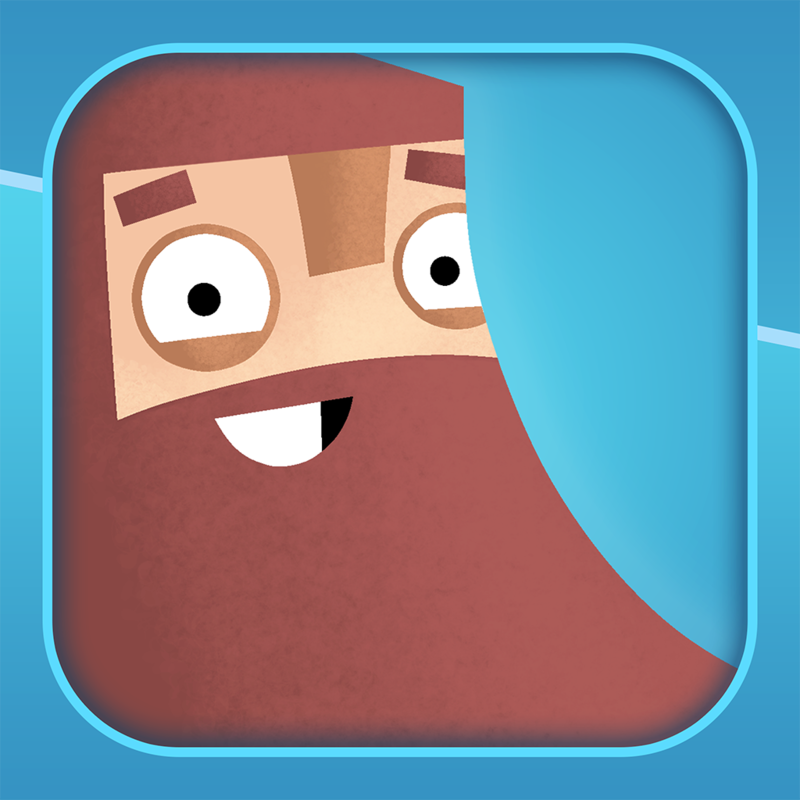 You can find it on the App Store as a universal download for $2.99.